Ferratum Money Personal Loans – How to Apply? At some point in your life, you will find yourself strapped for cash. When this happens, getting a personal loan might be in your best interest. Aside from giving you easy access to funds, these personal loans will give you flexible payment options that’s won’t hurt your wallet. Ferratum Money Personal Loans is your best bet when it comes to getting personal loans that fit your budget and your lifestyle. If you want to know more about their offering, read on. One of the main features that a Ferratum Money Personal Loan offers is flexible loan terms. To help you get bang for your buck deals, you can easily take out personal loans with a repayment plan between 1 to 5 years (or 12 to 60 months). If you have the extra cash to spare, you have the option of paying for your Ferratum loan back as soon as possible with NO additional expense. Doing so allows you to save on interest in the long run. Another feature you’re sure to appreciate is having an online loan calculator on hand. With this feature, you can easily compute how much your desired loan will cost. As a matter of fact, you can adjust your desired loan amount and preferred loan terms to exhaust all the possible options. The best of all, you will get a quick decision in just a few minutes! 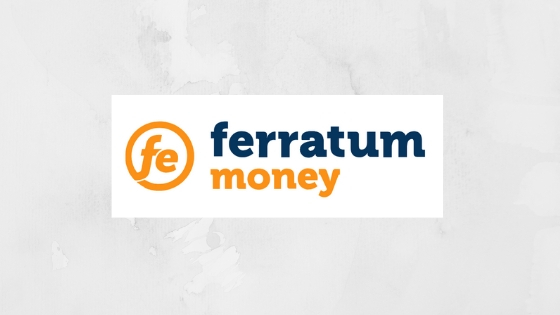 Ferratum values your time and the urgent need for money. Because of this, they give their best to review applications in as little as 10 minutes! If your application is approved, you can receive your funding within an hour. It’s good to note that processing requests can take a long time when done outside business hours. Getting your Ferratum Money Personal Loan is now more convenient. Since the application form is done through Ferratum website, you can bid standing in line goodbye. Some of the information you’ll need to provide include your personal information, mobile phone number, ID, and credit rating. The process of screening and validation will also assess your ability to pay your loan on the due date. If your application is approved, you can take out a minimum of $2,000 and a maximum of $100,000 with terms ranging from 1 to 5 years. Applying for a Ferratum Money Personal is absolutely free of charge. However, the interest rate on your personal loan is unique to the payment term and the amount you intend to take out. For example, if you plan on taking out a $6,000 loan with a loan term of 30 months with a weekly payment frequency, you need to shell out $72.76 a week. This has an assumed APR of 40%. If you need cash fast and want flexible payment terms, a Ferratum Money Personal Loan is your best bet. Apply now and see what this loan can do for your life. Mogo Personal Loans – How to Apply?